A text came through earlier in the week. 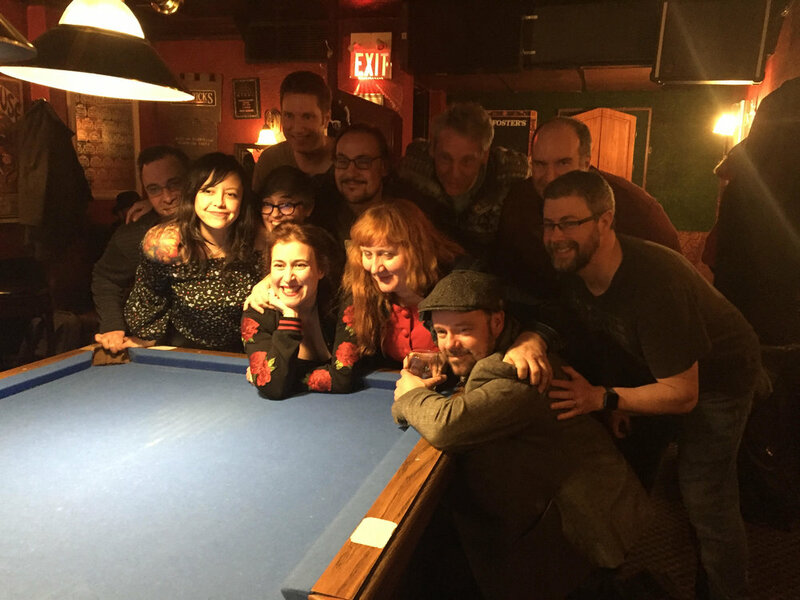 A crowd from the early internet service provider of the nineties, Interlog, was gathering at their old hangout - The Artful Dodger - a Toronto downtown pub. Would I like to drop by. Some of them were colleagues of my second son who died more than a year ago and 18 of them had turned out for his visitation and memorial service. I thought I should go. The company was founded in 1995 by a young man who had just turned twenty and who had little respect from venture capitalists. such as they were then. It helped when he brought an older brother on board who had just graduated from law school. They rented space in an office building and kept renting more as their business grew and more hardware was required. The workforce was young, new to the field of technology and experiencing difficulty in being hired for any job, let alone ones relating to their recent education. There were some smart decisions made by the owners. Digital natives will have no recollection of how exciting it was to sign up for internet service in 1995. Those customers were pleasant to deal with. Once they signed up though, they often had problems and were frustrated and cranky when they called in. The same tech support group handled both so they had a mixed diet of callers. Any customer had an online file that all could see so that the "Oh no, not this one again" could be responded to with courtesy and care. The company was so successful that it grew to 125 employees and attracted buyers. Suddenly there was a takeover and the workers were terminated. The company that purchased Interlog soon went under. But rather than reacting negatively the young workers all moved on Some now found the jobs they had been looking for in the first place in fields like the arts and education and have done just fine. Others stayed in tech and used their knowledge to thrive. After becoming bored with flying lessons, the young owner formed and sold two more companies. He wasn't there last night - and his name didn't come up. What's impressive is the loyalty to one another that former employees have retained. Some were there from other countries, other parts of Canada and other cities. How many work places could gather that amount of enthusiasm for a get-together three days before Christmas - twenty years later? In a world where there is so much negativity about the work place, this gang is a standout.